The teenage survivors of the Valentine’s Day shooting at Marjory Stoneman Douglas High School in Parkland, Florida, are not quietly grieving. 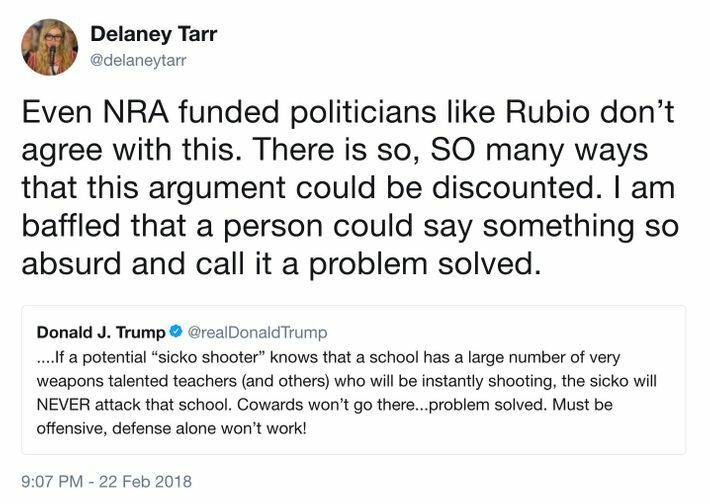 Instead, they are channeling their trauma into activism, organizing rallies, speaking with Donald Trump, and participating in a town hall on CNN that drew millions of views as survivor Cameron Kasky refused to let Marco Rubio give a nonanswer about accepting money from the NRA. They are also — in between, we hope, eating and sleeping adequate amounts — absolutely owning people on Twitter. 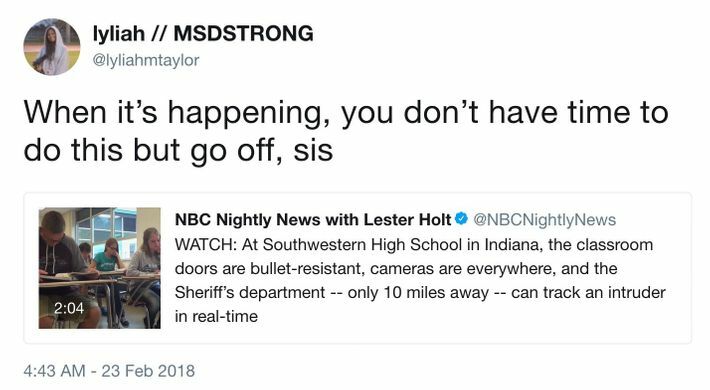 These teens have made it clear that nobody is going to speak for them. 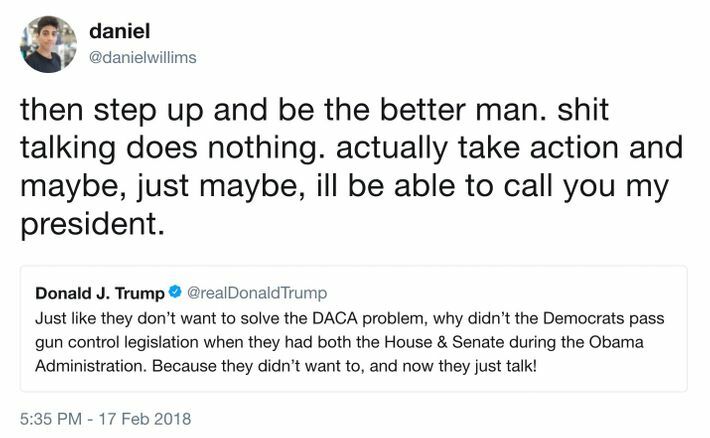 Instead, they’re tweeting to let everyone from Trump to Tomi Lahren to Piers Morgan know that they won’t be accepting, to crib from survivor Emma Gonzalez’s impassioned speech, any of their “BS.” And the tweets. The tweets are good. 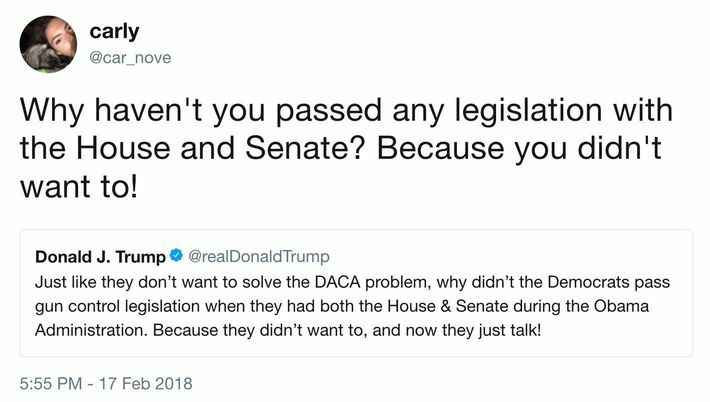 At this point, Florida senator Marco Rubio has been burned to a crisp. 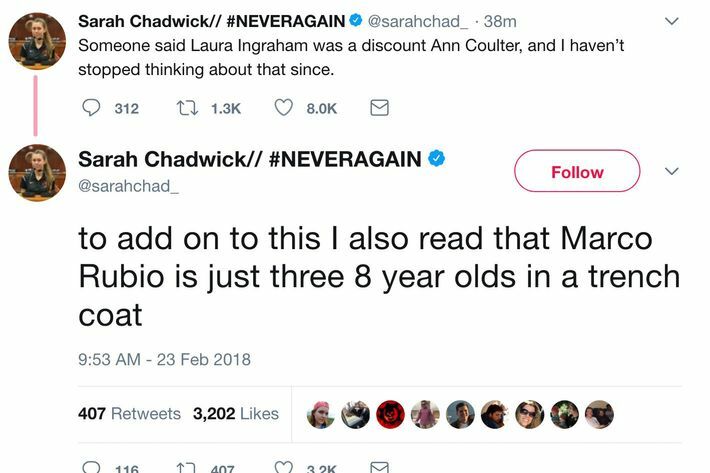 We should change the names of AR-15s to “Marco Rubio” because they are so easy to buy. 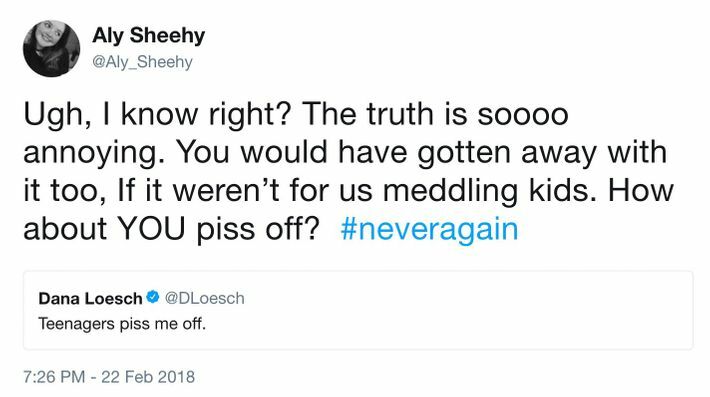 Laura Ingraham from Fox News has been similarly scorched. 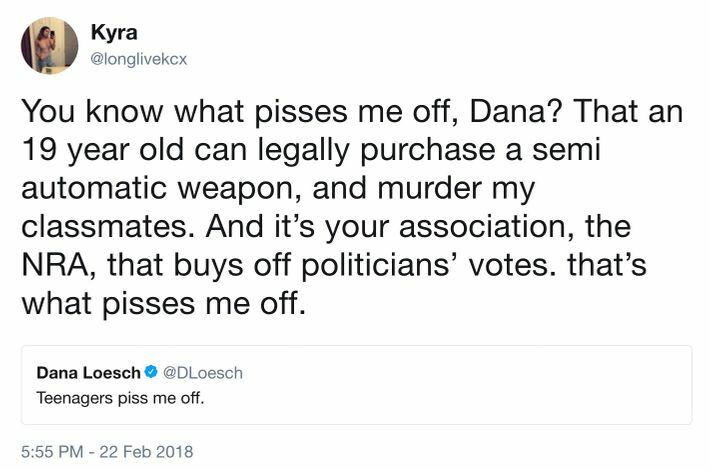 NRA spokesperson Dana Loesch’s bad, old tweet about hating teens has gotten a second life this week. 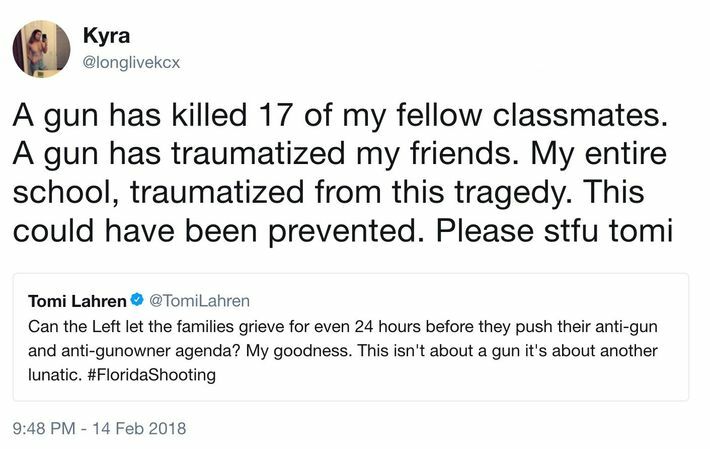 Immediately after the shooting, right-wing pundit Tomi Lahren was asked, nicely, to “please stfu” for a tweet asking “the Left” to let families grieve for an appropriate amount of time before pushing its anti-gun agenda. 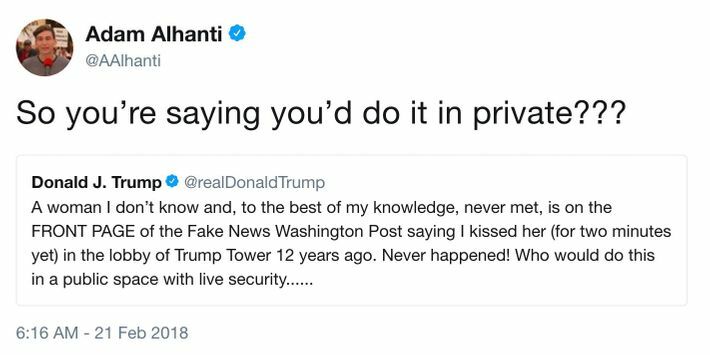 Donald Trump, unsurprisingly, has also been roasted. 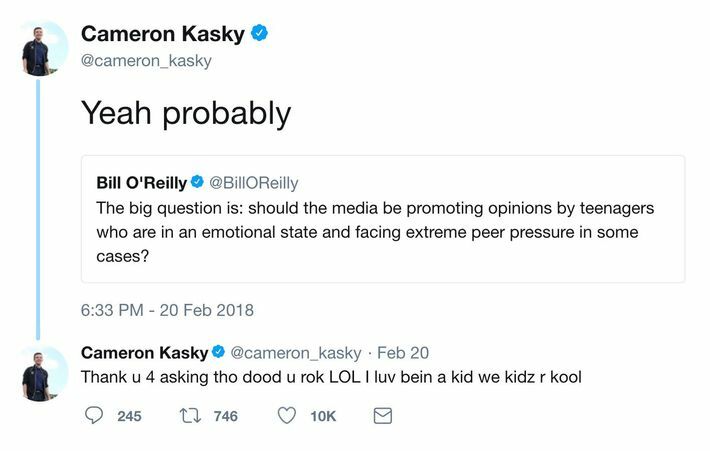 An honorable mention to Cameron Kasky for swapping letters in Piers Morgan’s name to drag him with incredible nuance. I know so many great Americans (doctors, veterans, police officers, etc.) who follow and trust this man, myself included. He might not be from here, but he leads us by example and not ugly, contemptible outbursts like that Pierce Morman dude. Kasky also had some choice words for Bill O’Reilly. The downside to all of these excellent tweets is that these teens — who, remember, are still coping with living through the unfathomable — are opening themselves up to attack online. 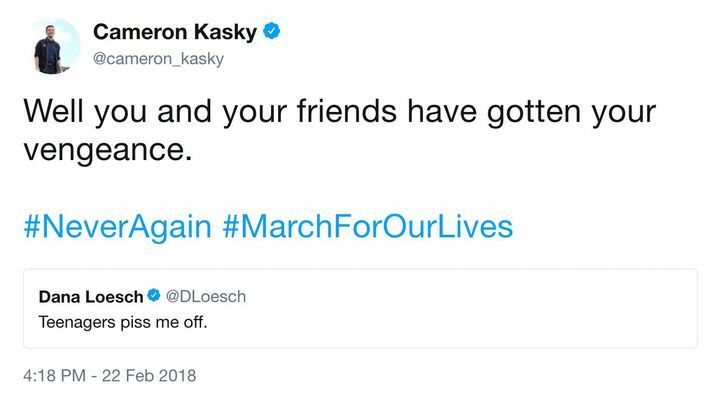 Cameron Kasky has said that he’s taking time away from Facebook after receiving “graphic death threats” from “NRA cultists.” Still, they seem undeterred. Which is both good for their movement and also good for anybody with a Twitter account looking for some A-plus content. Okay, you caught me. 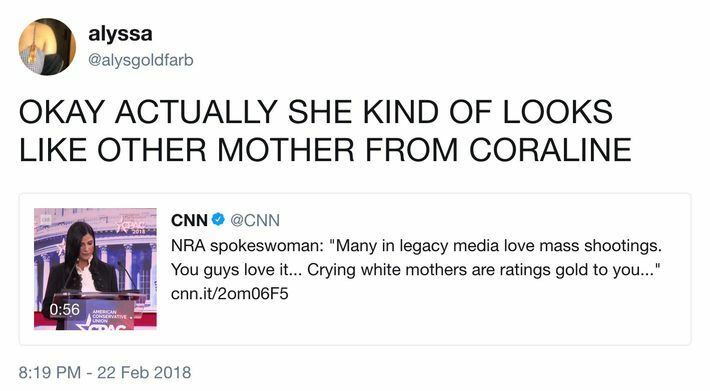 I’m a Crisis Actor brainwashed by the left. They chose me because I played Iago, Mr. Potato Head, and King Triton in camp musicals as a kid. 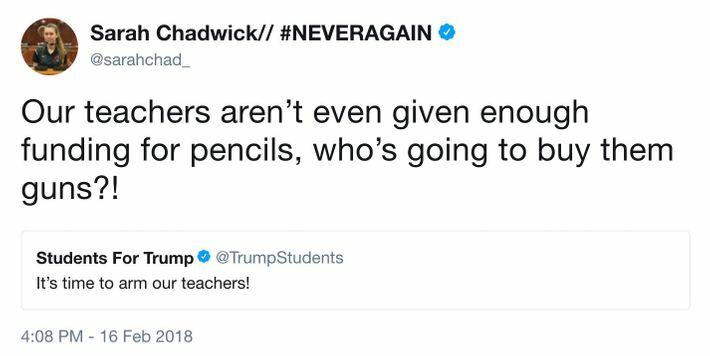 Is your child texting about gun reform? Upset to hear our governor Rick Scott wont be attending the town hall meeting on Wednesday. 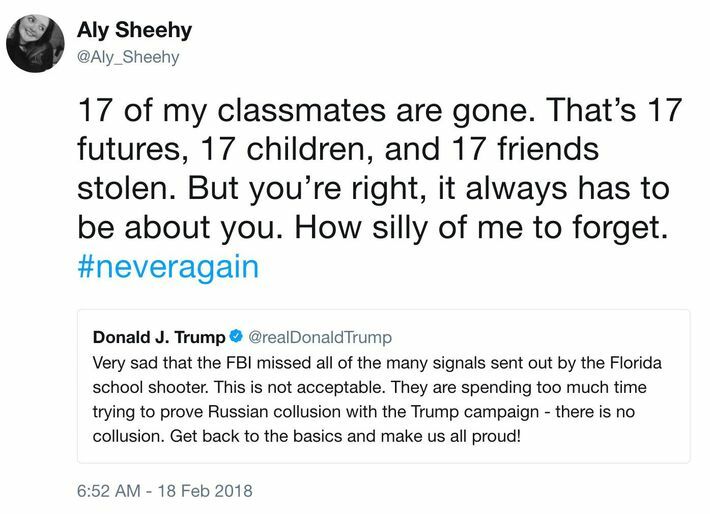 To be fair, he does have an A+ rating from the NRA, and i think he's scared of my peers and i.